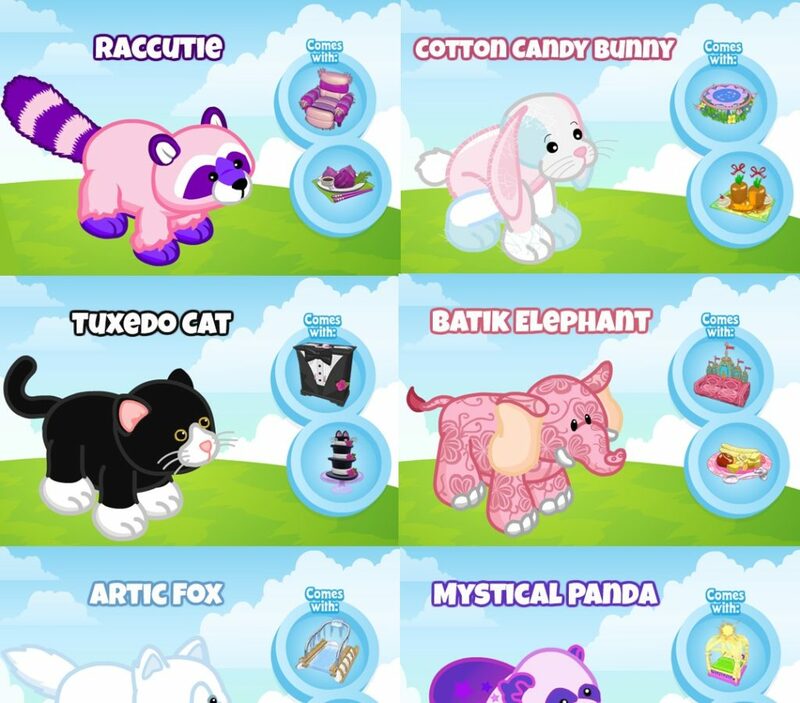 In the last release Webkinz changed forever with the ability for players to earn free pets just by regularly playing the game. They want trading in your medals for a new pet to be exciting. Like that first time you traded in your Gems for the legendary Crown of Wonder … something that you worked hard for and that is very satisfying when you succeed at reaching your goal. Significantly improved odds of getting a prize drop when reaching a good score in the arcade and the odds of your prize being a pet medallion. Improving the odds of getting a medallion from the Daily Gift. Starting in August, Deluxe Members will receive pet medallions in their monthly Gift Box in addition to the current monthly awards. The August release we will replace the current Magic W floaty-clicky prize pool with Pet Medallions! Yes, you’ll have a chance to find another pet medallion every day! 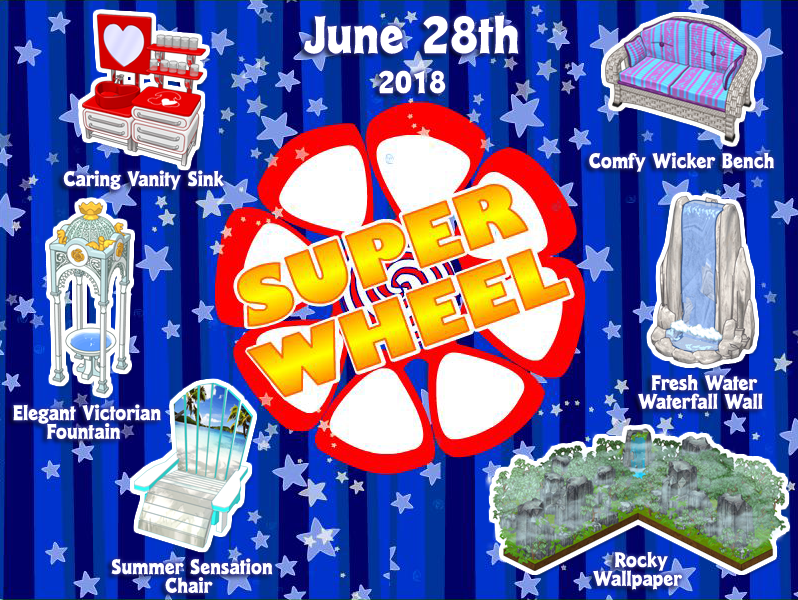 Summer Sensation has begun on Asian & Euro .. Not so..Super Wheel and Summer painting.. Happy Thursday! Love summer! It’s supposed to be hot all weekend, but I think I like that better than the constant rain. Haha! Not so … Super Wheel. Thought the same thing myself! Bring back that Wheel of the Month! Thank you, Cheese, for the Wish List items! I wish I had something on your wish list to send back! I might have to get creative … which is dangerous … sometimes … I’ve been trying to get creative with some recipes (in RL), and some of them are scary. I keep trying, though, because I’m tired of the same old stuff. Not sure I’m brave enough to try the Raccoon Recipe, dee. I love that there are more ways to win the pet medallions, but with more pets added, it will take longer. Still, it will give us some new things to work toward! I really like that stone lion. Have a great, day everyone! Happy Summer Sensation Day ! dee.. thanks for the link for the medallions and moms .. thanks for the article..
Have been playing Goody Gumdrops.. not too well I might add.. BUT I did get two medallions so far this morning .. for a mediocre score 43 and 50 something.. They must have made some adjustments to the awarding of medallions… Both were the fish pet.. I have been having some kind of week with trophies! I just finally started playing Goober’s At0mic Adventures. (I know, what took me so long?!) I have completed all the trophies on two accounts and I’m working on six other accounts. That game is addictive! I won two Zingoz Zangoz trophies yesterday. I finally won the creepy faceless Pet Party Parade trophy on my main account. I won a Goody Gumdrops trophy on my main account. And I came *this close* to the Atlantiles trophy, which I have yet to win on any account. Trying to get those pet medallions is making me spend wayyyyy too much time in the arcade, lol! Only one week ’til Update Wednesday, and I’m bouncing off the walls! moms, I agree regarding the pet medallions…better and fewer pets. I bought most of those pets in plush/virtual form, so I have absolutely no need of those pets in the free version. I’ll be trading in most of my medallions toward the Stone Lion, methinks. Ugh, my comment got eaten by the filter lol. Does anyone have a complete list of all Daisy’s Diner foods? Even the “secret recipes” and how to solve those? Thanks for the congrats mom! I like that they added the Raccutie to the medallion pets, but it’ll probably take forever to get it. I’ll probably cave and get it for $10 on amazon because the plush is cute too. I’ve been very frustrated with the weather lately. Me and my boyfriend have been trying to go to cedar point for the past month. We’re only able to go on weekend and every single weekend has either been way to hot or too rainy. This weekend and next weekend fall into the ‘way too hot’ category as well. I’ve been there in 90 degree weather before and it’s not a pleasant experience. went to send moms and email and someone had already sent it! why did i think the supermodel thing started today? dee.. your tree situation sounds dangerous.. Is it safe to be in the house ? Lurker.. thanks for the info on the recipe’s from the diner ! I am really looking forward to your sneak peaks… One of my favorite things to look forward to !! moms… Today is opting in or out for LBJ !! Seems like he is waiting for PG and KL to be sent to Lakers.. Will he then go there ????? He certainly does not need the money !!! Lurker… I am amazed at how many of the trophies you have won !!!! Congrats. you must be a terrific computer whiz !! How many medallions were you awarded from playing in the arcade ? predicted a pretty bad heat wave this weekend. Wacky Weekend started today Friday, June 29th to Sunday, July 1st. Players will receive one Wacky themed clothing prize each time they score more than 11,500 points playing WackyER Zingoz in the arcade (web only – not available on the mobile app). dee – i too am a little worried about you going under the trees or being in the house with the one threatening the house. should you get someone out to look at it? maybe they could at least drop it away from the house then dh could do the clean up from it? dry for next three or so days, so dh should be back home…..at least we will get some firewood out of all of this! who would i even call if it fell? other than the house insurance folks? I wish there were more wacky things to decorate your room. I loved the lamp/light they had one year. Lots of company last week and this week I have my granddaughter here! Next week or two I’m travelling, but hope to catch up with everything soon! Even though we are playing lots of Webkinz together, I don’t have the time to “play” the way I usually do. Plus, dh has been sick a lot this week and he doesn’t understand my Webkinz hobby. I got several Elegant Fountains on the Super Wheel. What is the Rocky Wallpaper from? I’m thinking I have some of everything that was on that wheel. Hey everyone! Just read up on the comments for this post! hey – just wanted to let everyone know that I heard from catmom – she has been through a lot with her health, but hopefully is on the road to recovery now – and hopefully she will be back soon!